Condemned 2: Bloodshot is one of the few psychological games to be available on the console platform (Xbox 360 and PlayStation 3). The game launched in 2009 and is a sequel to the original released in 2005. Condemned 2 has significant violent and horrorifying content making it the perfect game for fans of the horror genre. In Condemned 2 you will again take on the role of Ethan Thomas with the game taking place around a year after the events of the original Condemned game. Since the events of the original game Ethan’s life has experienced a downward spiral which has left him homeless and addicted to alcohol. Ethan has to put all of this behind him though when he is called back to service in the Special Crime Unit to investigate the mysterious murder of Malcolm Vanhorn, his once mentor. As you investigate the case the story starts to suggest a deeper and darker truth to the investigation that Ethan never saw coming. 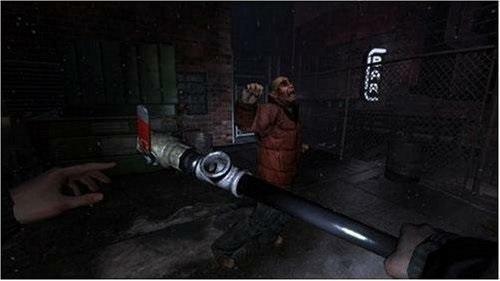 Gameplay in Condemned 2 takes place in a first person perspective and does use some first person shooting elements but the majority of combat is focused on hand to hand fighting and melee weapons. The game also incorporates quick time events and environmental finishing moves into combat. Ethan also has access to a number of powers and combos in the game to assist him in combat. The investigation aspects of the game are where Condemned 2 really shines though. This gameplay mechanic has players investigating a crime scene and trying to deduce the nature of the crime using various tools to gain clues. If players can successfully solve the crime scenes that they encounter during the game they can receive a number of upgrades to help them through the game. Condemned offers a fun console experience that successfully blends a number of genres and still delivers despite being an older game. Available on PlayStation 3 and Xbox 360. Follow a storyline filled with twists and turns. Focus on first person melee combat. Gather clues to solve the cases for equipment upgrades. Access powers and combos for full combat power.